This card was especially created for Peter. 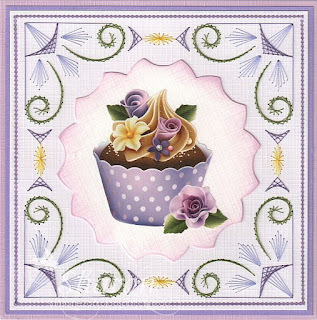 The pattern is by Sjaak and is available from Ann's Paper Art. Threads are Mettler Polysheen 0152, 1362, 1725, 4332. 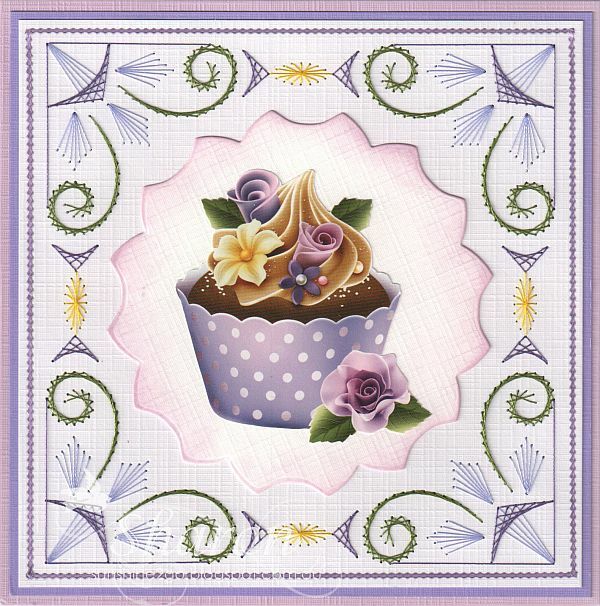 Decoupage by Amy Design "Vintage Vehicles" CD10847. Background texture stamp by The Darkroom Door "Harlequin"
Die by Poppy Stamp "Tailored Stitches 1788"
Hobby dots and Happy Birthday stickers have also been added. I am catching up on things after our very busy week. Yesterday I was lucky enough to spend some time in the garden. My friendship card for the month of April was for Jackie. Threads are Mettler Polysheen 0311, 0453, 2830. 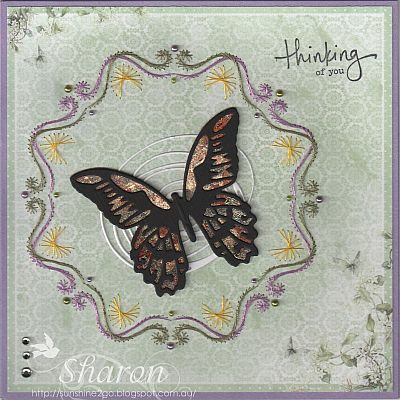 Dies are both by Tim Holtz, Butterfly 661182, Squiggles 660222. Stamp is from Darkroom Door DDRS119- Simple Sayings. I hope that everyone had a wonderful crafty weekend, I was busy in the garden. After all the recent rain things are growing rapidly. 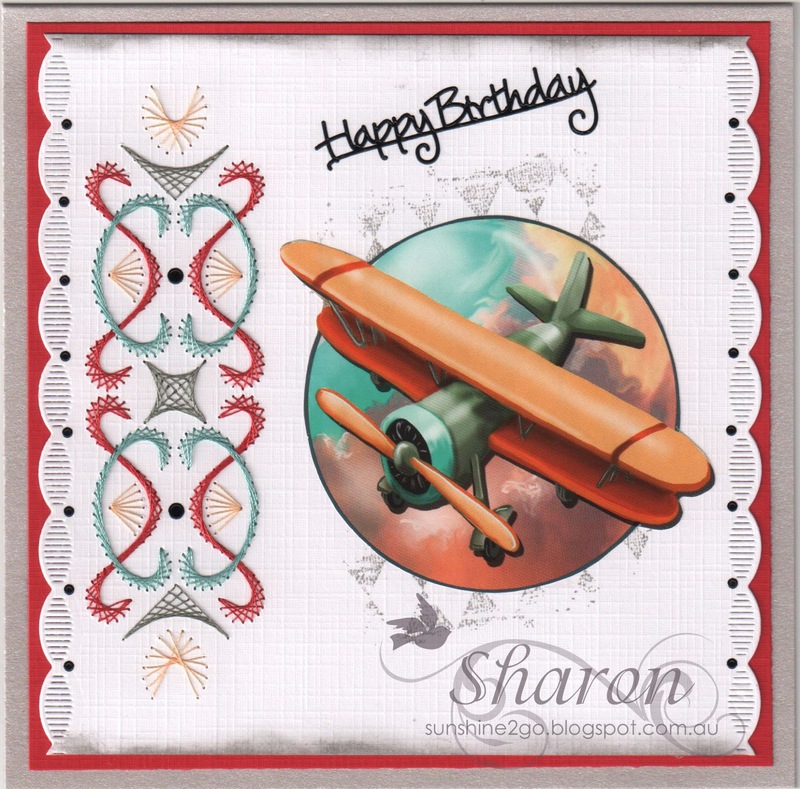 Another beautiful new pattern by Ann's Paper Art, a124. Threads are Mettler Polysheen 0605, 2920, 3151, 5833. Decoupage by Ann's Paper Art, 3DCE13016. Autumn has finally arrived, last night we had a lovely cool 9 deg. The days are beautiful, full of sunshine at the moment.